I just love my bathroom; for me, it’s more than a mere utility room. It’s my own spa, the place I can be at one with my thoughts, meditate a bit, pamper myself and even get creative ideas. As such, I try to keep the room as relaxing as possible and stay away from stirring up the interior décor much except for the occasional accessorising with beauty products, however lately I found myself considering to replace my shower cubicle with a bathtub because who doesn’t like the thought of soothing baths, right? And then I had the reality check that my bathroom isn’t spacious enough so instead of the makeover I was dreaming of, I focused on another kind of makeover instead: making use of vertical space with bathroom storage shelves. Lots and lots of floating shelves! 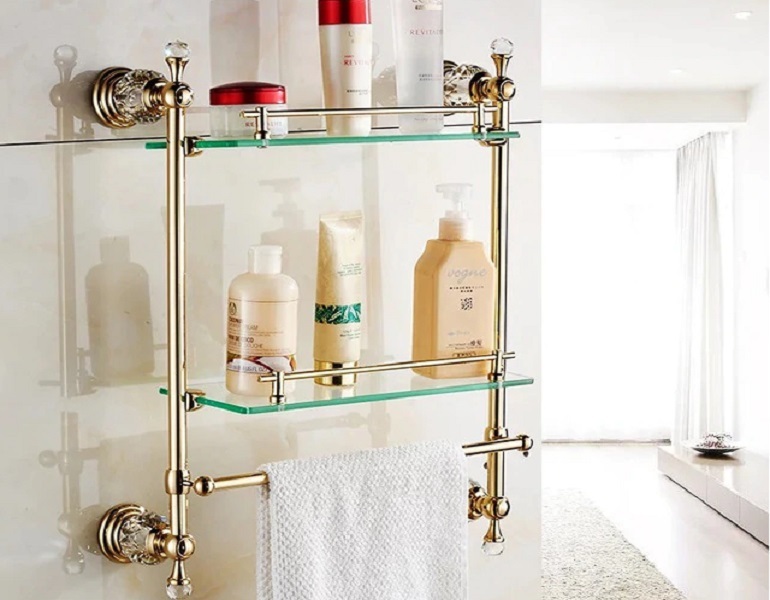 It took me a while to realise my bathroom wasn’t in the best shape it could be, clutter-wise, so I wonder how it actually served as my relaxing place – I was unaware of the piles of items holding me back! 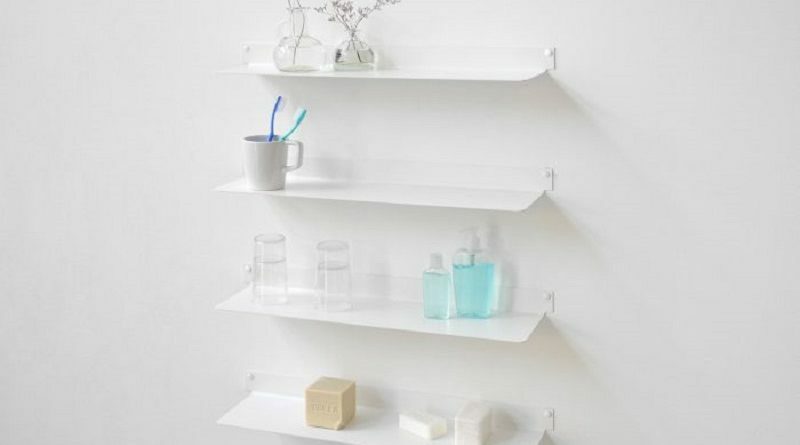 Introducing the stylish and sleek shelves, I could free up plenty of space and use them to store all my bathroom necessities, enabling me to get rid of the bathroom vanities altogether. 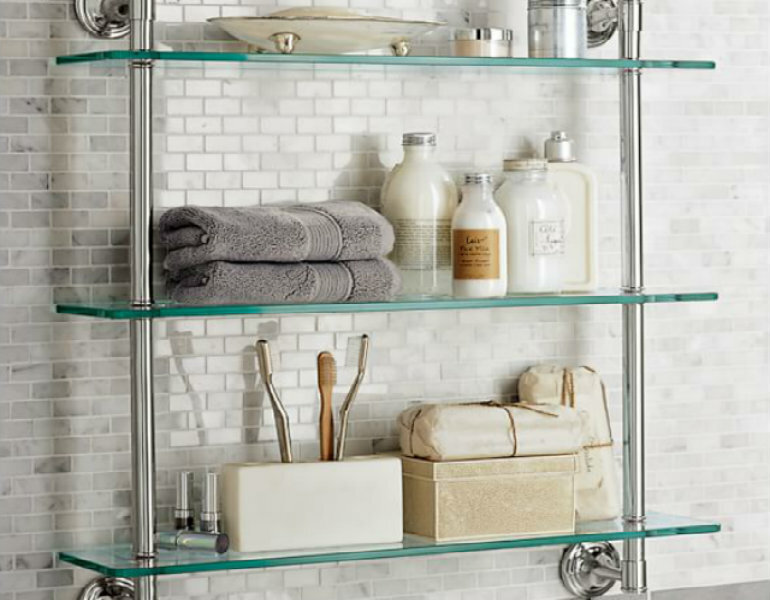 Much to my surprise, the addition of the bathroom storage shelves made my bathroom visually bigger, opening up significantly more space, which immediately made the room feel airy and sophisticated. What I also love about them is how easy it is to clean them, much less time-consuming than what it took me to clean up the vanities. Since I have more beauty products, perfumes and towels than they fit on the shelves, I sought the help of the timeless beauty of rolling carts to store them, along with all the toiletries and then even had room to decorate with tiny planters full of succulents. For the rest, I used up the fact I hadn’t resorted to a medicine cabinet before and hid it in a spot by the door. I couldn’t simply replace the mirror with it because it’s vintage and just makes my day looking at myself in it first thing in the morning! The last piece I never thought I’d ever use in the bathroom was a vintage chair in a lively bright green colour. Other than serving as a stylish side table where I hang towels from time to time, it’s perfect for my pampering and relaxing moments. I must say the outcome of the makeover is better than I could’ve imagined!